One could sit and debate all day about who is the greatest ever Welsh footballer: John Charles or Gareth Bale. But you could never reach an agreement; these are both stupendous talents who were the greatest British players of their generation. Charles led Wales to their only ever World Cup appearance, 1958 in Sweden, while Bale carried his country to the European Championships in France – their first major tournament since Charles' '58 side. Both players are great ambassadors for Welsh football, putting Wales on the map at great European powerhouses Juventus and Real Madrid, respectively. Both demanded world-record transfer fees, scored a hatful of goals, and inspire a nation. Charles started his career at his hometown club, Swansea Town, but was quickly stolen from their hands by the mighty Leeds United. The Yorkshire side were then managed by Frank Buckley, the major who had led the famous 'Football Battalion' during World War One. Charles was lured to Elland Road and by 1949 he was established in their first-team squad at just 18 years of age. Early in his career, he demonstrated his versatility, playing at right-back, centre-half and left-half for the Major's Leeds. His international debut came just a year after his move. Still aged just 18, he turned out against Northern Ireland, but the Charles we came to know was not on show that day, as he was shown up by the veteran Irish striker Dave Walsh of Aston Villa. "The turning point in Charles' career, which eventually took him to Italy, and the adulation of Juventus fans, came when, in season 1952/53, Buckley decided to switch him to centre-forward, at a time when the Leeds team badly needed goals. They got them. Charles scored 26 League goals," wrote Brian Glanville for the Guardian. The Welshman never looked back. In 1955/56, he led Leeds to promotion to the First Division with 30 goals and followed that with 38 in 40 games in his first top-flight season. With 157 goals in eight years with Leeds, Charles remains the club's second-highest all-time goalscorer. His goalscoring prowess in Yorkshire earned him plaudits across Europe, none more so than in Turin. Charles was taken there by the Italian football agent Gigi Peronace, who introduced him to the Agnelli family, owners of Juventus. Charles cost the club £55,000 – then a British record transfer fee, doubling the previous record. It earned him £10,000 in signing-on bonuses, while he would've earned just £1,780 for the year with Leeds. The Yorkshire club was left with little choice other than to sell Charles, despite him being their star man. Their stadium's West Stand, which was uninsured, had burnt down in 1956 and they needed the money to rebuild it. Juventus had been struggling prior to Charles joining, winning just 11 of their 34 games and finishing ninth in Serie A. Upon his arrival, the Italian media were excited by Charles. "He has the features of Marlon Brando, the body of a light-heavyweight boxer, the breathing of a tiger and the bite of a snake," wrote Bruno Roghi of La Gazzetta dello Sport at the time. On 8 September 1957, John Charles made his Juventus debut against Hellas Verona. With the score level at 2-2, thanks to goals from Boniperti and Sívori, the Welshman popped up to grab a winner. In each of his first three games in Italy, Charles scored the winning goal. He thus became an instant hero. Over five years in Turin, Charles scored 108 goals. 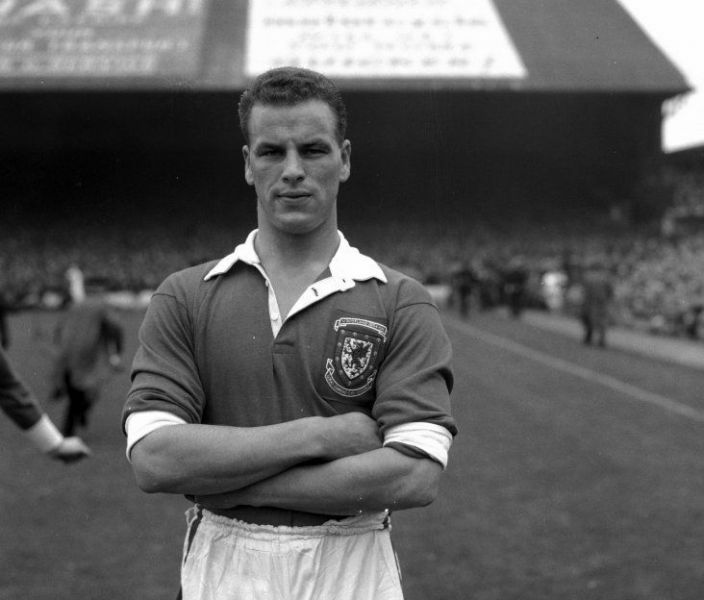 He came third in the 1959 Ballon d'Or voting – making him the only Welshman to ever finish in the top three – and won three Serie A titles (1958, 1960, and 1961) and two Coppa Italia medals (1959, 1960). • Take an established CB (must be natural in that position) and convert him into a striker. • Player must be natural in CB position. • Other than this you can employ any tactics on either match engine that you please. • Optional targets of 500, 600 and 700 or any higher of your choice are of course encouraged﻿﻿﻿﻿.